The idea of having fun at your own wedding seems like something Captain Obvious would say, we get it. Clearly you want to enjoy every millisecond of your big day considering you spent months of planning, spent many a dollar, and the whole “happily ever after” thing. Beyond that, absolutely no one wants their wedding guests to be bored or underwhelmed. It’s actually quite the opposite. Everyone wants their wedding to be THE wedding that their guests rave about as the one that did it right. Easy to say, much harder to do. Planning a wedding can be quite an overwhelming experience with so many details and considerations to take into account. It’s easy to lose sight of the forest for the trees, so to speak. But at the end of the day, as long as you can look back on your big day with warm memories and a few laughs, you’ll get everything you ever wanted out of your wedding day. Putting a little extra consideration and forethought into key areas within your planning process will transform your special day from a stress-filled snoozefest into a wedding everyone will remember for all the right reasons. 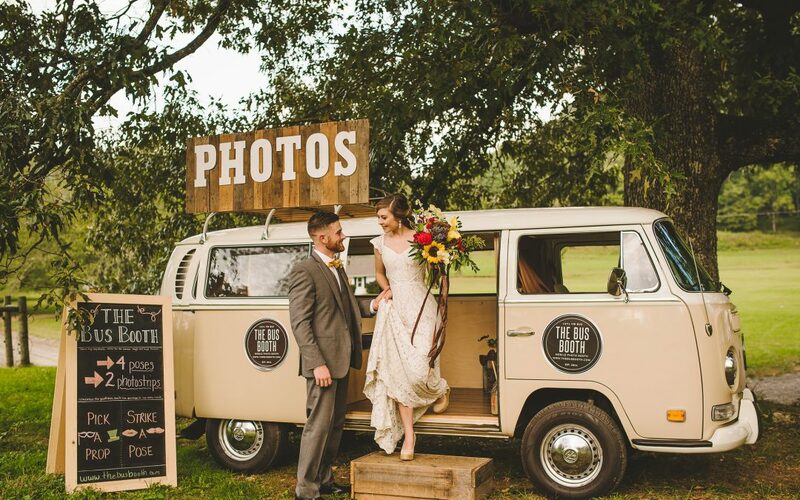 Josh Cremeens, owner and operator of The Bus Booth, knows firsthand when newlyweds and their guests are really in the flow and having fun. Even before they step into “Maggie” (his vintage VW bus-slash-photo booth) he can sense the mood of the crowd and the happy couple. If the music, the dancing, and the open bar haven’t quite loosened them up, once inside The Bus Booth they get to let their hair down and relax. 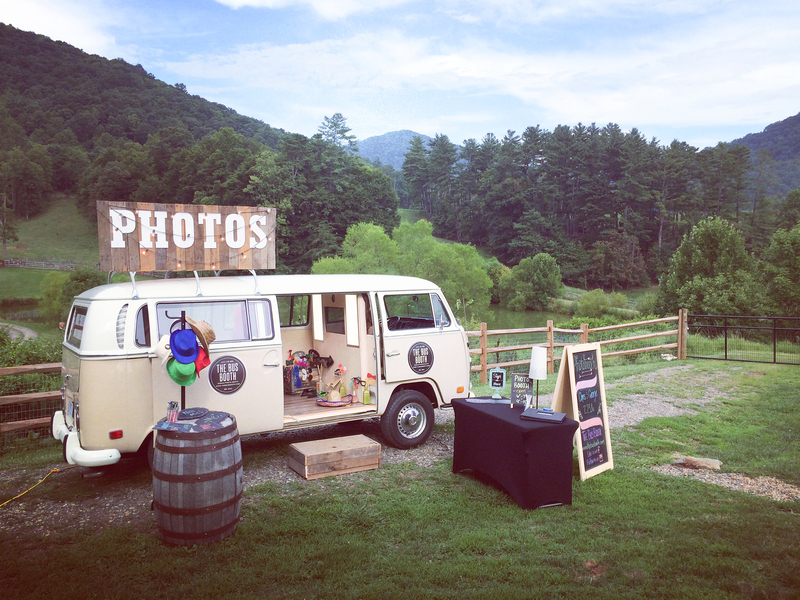 Josh believes that, yes, a photo booth is a great way to treat wedding guests to a laugh and give them forever memories captured on a photo strip. As magical as Maggie may be, he also knows a truly enjoyable, engaging wedding requires a little more than a feather boa, a camera, and a captain’s hat. In that spirit, here are Josh’s five (and a half) ways to be sure you and your guests get the most fun out of every minute of your wedding day. 1 | Hire vendors you can depend on. Pulling off a wedding is truly a team effort, and you want to surround yourself with experienced professionals who you know will do the job you hired them to do. Sounds like Captain Obvious 2.0, but if you don’t properly vet your wedding team you may wind up holding hands and scrambling to fix problems at the last minute. (Scary, but it happens.) If you know you can depend on your wedding vendors, you can relax and enjoy yourself well before you start your walk down the aisle. Working alongside the other creative members at Engaged is awesome for several reasons, one of which is the confidence I have in their reliability and professionalism. A curated group of experienced wedding industry pros is a huge asset for couples trying to plan their wedding, especially our destination wedding brides and grooms planning from afar. Some of my fellow team members have written posts right here on the Engaged blog about what to look for when researching wedding florists, planners, and other various venders. They’re seasoned veterans who know how to get the job done and keep the happy couple…well…happy! 2 | Lean on your wedding planner. It’s hard to articulate exactly how much a wedding planner can alleviate wedding stress and bridal anxiety. You need someone you can trust to step in and speak with your voice on important matters, and to put out fires if push comes to shove. If a full or part-time planner isn’t in your budget, consider hiring a Day of Coordinator to be your floor general to see through all the careful planning you’ve done for the past several months. Asking a loved one may be tempting, but you want your closest friends and family to be celebrating with you on your big day! Remember: we’re here to talk about how you and your guests can live it up on your wedding day! Sharing in the joy and time together is key, as is delegating the work and worry to a hired pro. While we’re on the subject, our bosslady and founder of Engaged, Candace Hightower, just broke down all the services wedding planners offer — including Day of Coordination — in her recent blog post. A great read for couples trying to figure out which packages fit their needs and budget. 3 | Provide entertainment that encourages your guests to let loose and have fun. We often get so carried away with wanting everything to be perfect and “just so” that we lose sight of the big picture and forget to have fun! As a newly married couple, you’ll be caught up in the whirlwind of having just become husband and wife…as well as the tsunami of well-wishers wanting to come and congratulate you. While you’re taking photos, circling the crowd, or stepping out to take a breath, think about what your guests will be doing during that time. If you’re serving dinner, consider what they can do between the ceremony and when food will be served. Cocktail hour is a common (and popular!) option; let’s be honest, we all know alcohol is the great social lubricant. 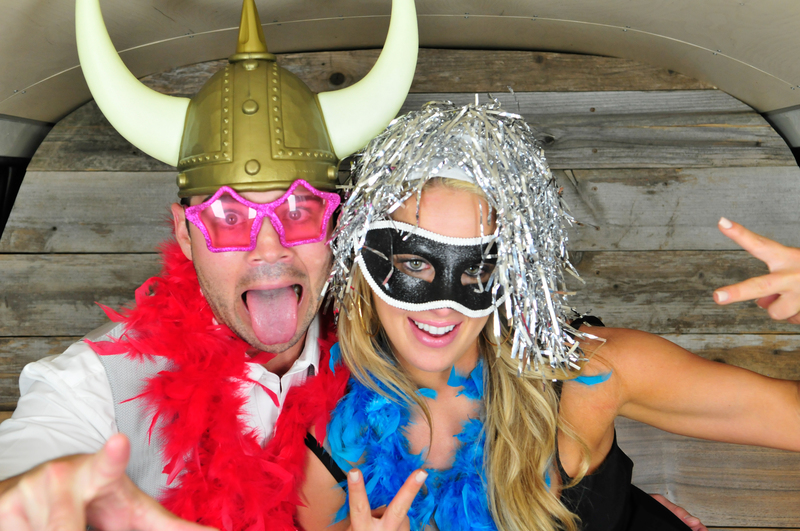 An open bar helps your guests unwind…and does make for some pretty epic photo booth photos! Your musical entertainment will be the engine that gets your guests moving and grooving until it’s time to bust out the sparklers. Live bands are awesome and usually the best option to keep the crowd entertained during the entire reception. DJs are great, too, but can be hit-or-miss. A lackluster disc jockey will just play music to fill the air, often choosing tunes they like rather than consider who they’re playing to. On the flip side, a true professional DJ can keep the party going and going, adjusting to the mood of the crowd to keep toes tapping and the dance floor flooded. Whether you choose a band or a DJ, your music will be a huge part of your reception so be sure to research them thoroughly and clearly communicate what songs you do and don’t want played. 4 | Do it differently. As Katharine Hepburn famously said, “If you obey all the rules, you miss all the fun.” There are many wonderful wedding traditions to honor and uphold, but you don’t have to be traditional in every respect. Make your wedding all the more memorable by thinking outside of the box and mixing in some unexpected details. Does that fresh new Drake track get you hyped up? Play it is as your walk-in song into your reception. (May want to go with the edited version here to prevent old Aunt June from hyperventilating.) Then return to tradition with an old standard for your first dance. Unique wedding favors are another way to stand out in the minds and memories of your guests. Skip the koozies and matchbooks and hand out personalized sunglasses or pompoms in the color of your favorite team. 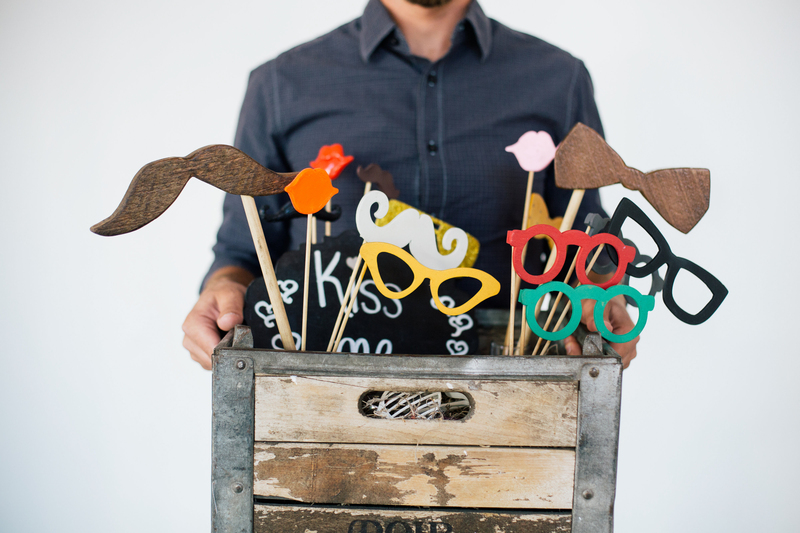 More than likely your guests will take their fun new favors with them out onto the dance floor — or into the photo booth! Which brings us to my last point (and a half)…. 5 | Book a photo booth. What makes a photo booth such a great feature at your wedding is its ability to capture images that your photographer couldn’t possibly catch. Moments when you and your guests truly let your guard down because you’re not worried about posing for the camera or the person behind it. What you wind up with is nothing short of magical. Grandma and grandpa making funny faces in goofy glasses. Your typically stoic brother-in-law laughing hysterically with a pink boa around his neck. You striking a silly pose with your other half. 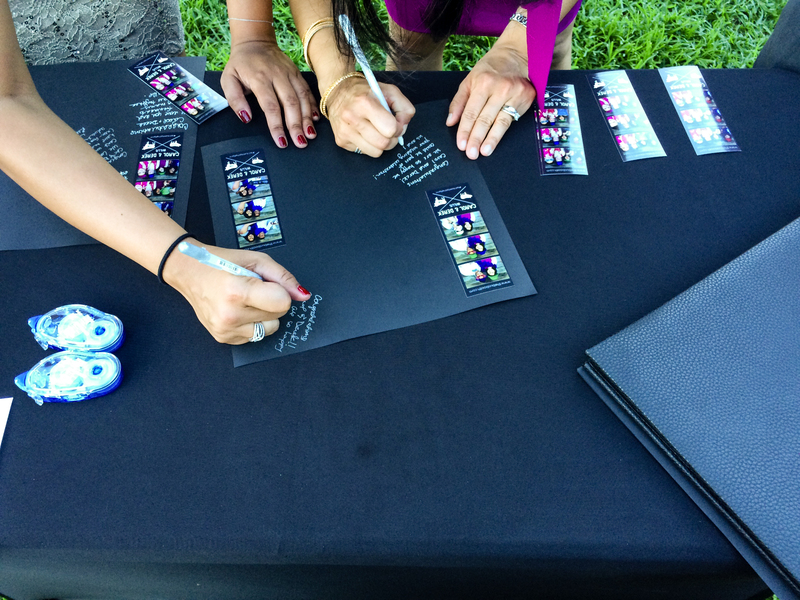 Your guests get to leave with these amazing images forever captured in their hearts and on their photo strips. 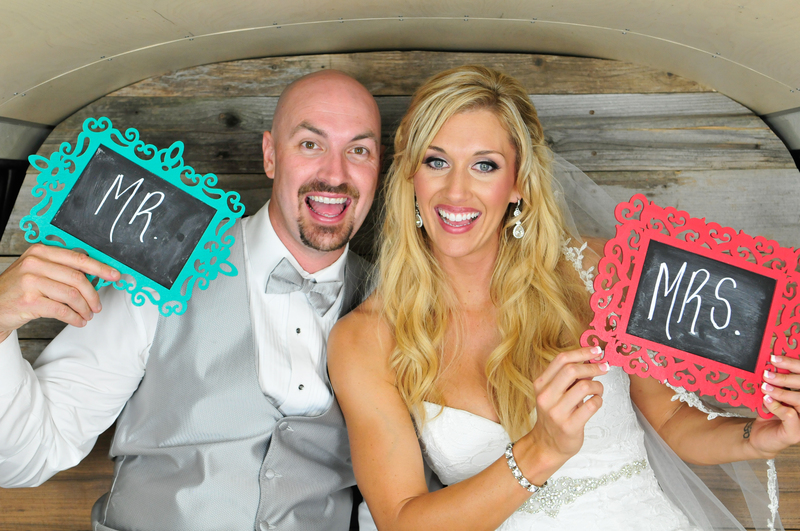 A great way to share in the fun with them is to have them put a copy of their photo strip in a guest book and leave a handwritten message next to it for you and your husband or wife. That way the bride and groom can share in all the fun that was had on their special day. 5.5 | Book The Bus Booth. 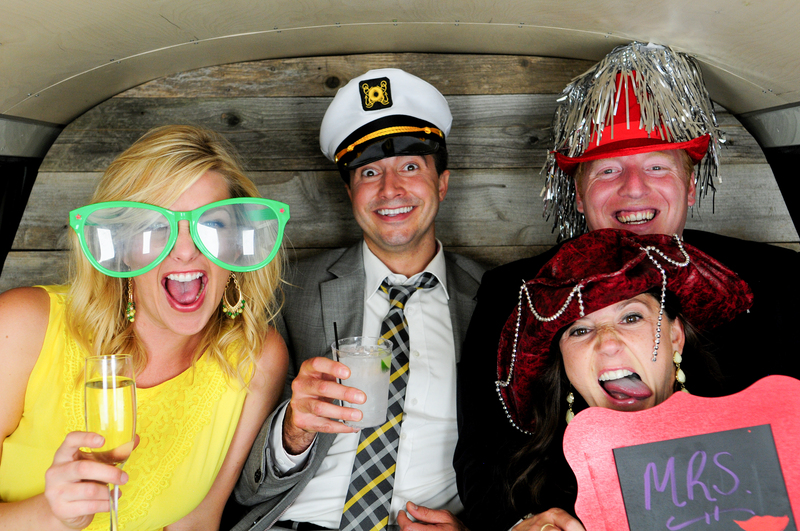 Just saying…there are photo booths and there are photo booths…and Maggie is no run-of-the-mill photo booth! In all seriousness, the experience of creating and operating The Bus Booth has taught me (Josh) many things along the way that I want to take a quick minute to share with you. 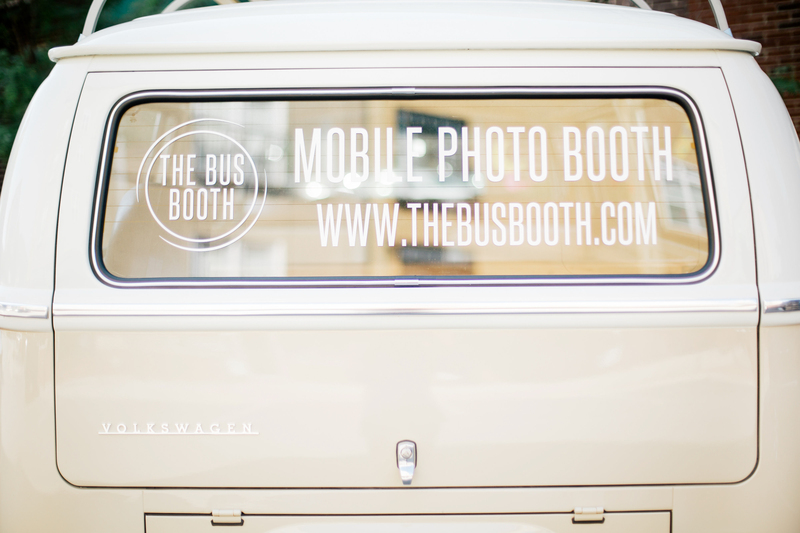 I created The Bus Booth to fill a void that I saw in the photo booth rental category where I was living at the time. They were poorly lit, had low image quality, and the participants were underwhelmed with their photos which created an all-around bad experience. To ensure my customers get images they’ll be happy about, The Bus Booth uses a professional level DSLR and bright continuous light so there’s no blinding flash. The lighting in The Bus Booth is very flattering and is something that we repeatedly get compliments on. We went to great lengths to be sure we got it right. Seeing everyone laughing and getting into the spirit while they take their photos is so much fun! Everyone is always so excited to get a photo strip; an actual, tangible print they get to take home. We always make sure we print a photo strip copy for every guest that steps into the bus, plus an extra to go in the guest book. Even if ten people somehow squeeze in (and Maggie can hold her fair share of people! ), everyone gets a print. When everyone wants to relive your wedding day over and over again, you know you did it right. 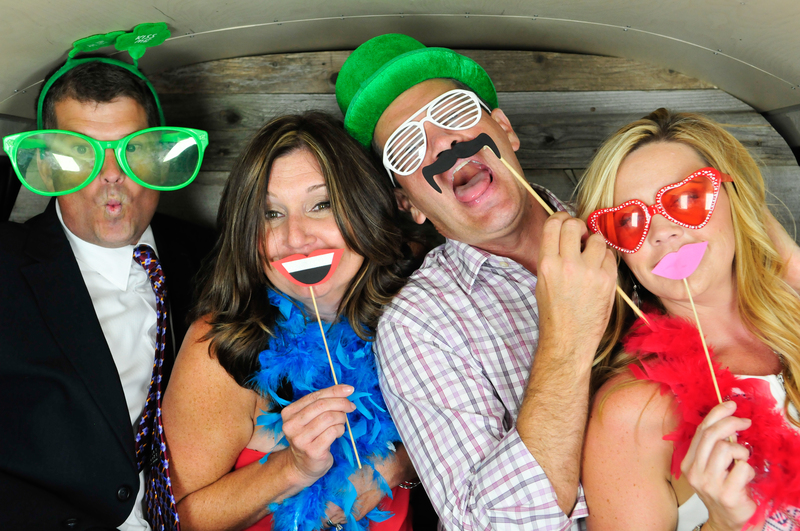 Adding a photo booth to your wedding will forever memorialize the awesome time they had with their friends and family in honor of your special day. Josh is the owner of The Bus Booth, Western North Carolina’s VW Bus photo booth. 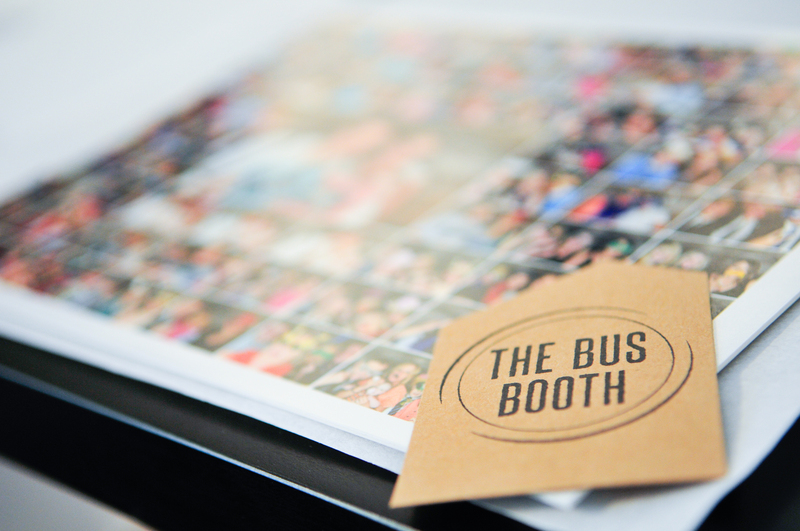 The Bus Booth is a creative spin on the classic photo booth and the perfect addition to your wedding or next event. Josh started The Bus Booth in Northern California and is excited to share it with the Asheville area. Be sure to honk and wave when you see Maggie (the bus) cruising around town. To learn more about The Bus Booth, or to contact Josh, please visit his profile on our Creative Team page.